I know this sounds anti-Catholic, but the Pope's visit has been the biggest pain in my neck in I don't know how long. Not his fault ... but still, damn it, I've had more than enough of this crap. I mean, good God, the amount of crap people believe about Pope Francis is insane. If you read the actual transcript from Vatican Information service, -- notice that it does not contain the word "gun" at all. 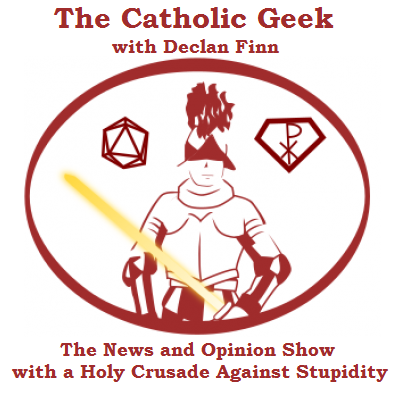 If you read the breakdown at the Catholic Geeks, it's spelled out even more that the Pope doesn't like WMDs because he specifically said weapons of genocide. And to top THAT off, the Pope went to the UN and specifically mentioned WMDs. How much more do people need? How many times does he have to say WMDs before people realize he meant WMDs? Of course, "The Pope Hates Money. He's a dirty Commie." Oh for God's sake. the original quote was: "And behind all this pain, death and destruction there is the stench of what Basil of Caesarea called 'the dung of the devil' -- an unfettered pursuit of money." Looks like he meant greed, to me. Oh yeah, and he talked about how the economy needs reform while he was in Latin America. Considering how many companies who invest in that part of the world plan to pull out in ten years before the government confiscates everything, And oh, look, "people come before profits." I'm shocked, shocked I say. So, geed, the Pope doesn't hate money, he hates greed, because you know, It's a Deadly Sin. As for the environment he keeps talking about, though, you might notice something strange. His "environment" talk includes human industry and human ecology as part of nature. Had one listened to his UN speech, his "environment" includes natural law, individual rights, the family. Because that's the only way that his talk of "war hurts the environment" that really makes sense. Toxic waste isn't part of the usual munitions. But in his UN speech, he noted, gee, war impacts the environment by trampling on humana rights, tears apart families, which are the bedrock of the state. Come on, human ecology and human industry as part of the environment? That's something even Ayn Rand would approve of -- or so I'm told by fans of Ayn Rand. And then, some of my favorite right wingers are going off the rails ... though in one case that might not be his fault. Look at Mark Levin bitching that the Pope has not condemned ISIS ... and then, on Friday, before the UN, the Pope goes and names all of the places ISIS has been going after that are in dire need of aid as human rights are being trampled on. Honestly? I listened to it live and I thought that the Pope wad going to declare war on ISIS. Then there's some in the pro-life crowd who think he's been quiet on abortion. "Defend the unborn against abortion even if they persecute you, calumniate, set traps for you, take you to court, or kill you." ~ Pope Francis. Well, that's subtle. And then Planned Parenthood hates him for being pro-life, and the grandson of the founder, M Sanger even had a few things to say against the pope... Seriously, PP, what the Hell did you THINK he was going to say. He's the freaking POPE, damnit. Oh Lord, do NOT get me started on immigration. the Pope's speech to the UN. The line he used was "mercy and tolerance towards immigrants," and somehow, the Pope must mean Illegal aliens from Mexico? The only groups the Pope pointed out directly were Christians in the Middle East. The ones that Obama is deliberately not letting into the United States. That's part of my problem -- "translating into American." Everyone, everywhere, seems to be focusing on the Pope's trip. Why is everyone assuming that the Pope is ONLY talking to America? And only about illegals? Hell, the Pope talks of tolerance and mercy -- why doesn't anyone assume that he's not talking about the immigrants in Obama's concentration camps. We still have those, right? There are tens of thousands of them in these camps still, aren't there? Why does everyone automatically assume tolerance and mercy equals letting illegals run rampant? Hell, I don't even think he used the word illegal. And then, the other day, Pope Francis told immigrants that they had a duty to be responsible citizens of the country they were living in. He told them, in other words, they should respect the laws of our country. Ta-Da! This is almost as bad as the Pope at the UN talking about ridding the world of WMDs, especially nukes, and George the Greek on good morning america says "The Pope supports the Iran deal!!!!!!" No George, the Pope didn't say that, but you wanted to hear it, so TA-DA! And just because the Pope has NOT said something doesn't mean anything, because it's SOP. And because the media lies. It lies about everything. Even the author John C. Wright has pointed out how the media does nothing but lie about the pope. Heck, JCW even cited me in one of these articles. Don't meme, please. The sanity you save may be mine. .... Oh, never mind, too late. The Pope only speaking about one country when in that country is like expecting an American politician to only talk about Italy when in Rome. To be fair, the SJW's think his comments on WMDs and Genocide refer to guns because to them, guns serve only to kill vast quantities of people in very short period of time (AK-47 means it kills 47 people with one bullet, you know). Well-written! Pointing out the media's slant on things keeps us questioning the nonsense we are constantly fed on the new. Keep up the good work. REVIEWS ARE IN FOR HONOR AT STAKE!!! !